The Government of India has detected a whopping 20,000 “hidden cases of leprosy” during a massive door-to-door campaign conducted by the Union Ministry of Health and Family Welfare from September 14 to October 4, says a well-researched report by a top environmental journal, insisting, this is a cause of great worry. 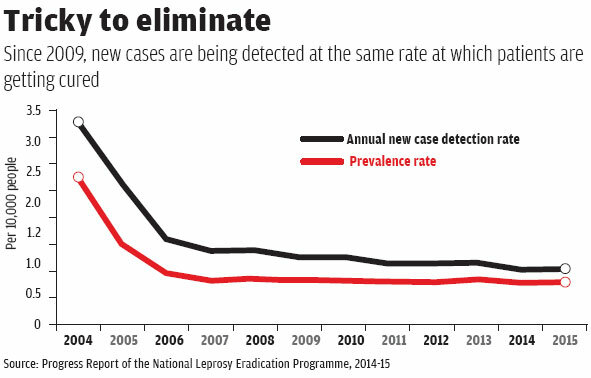 These facts should be worrying India, which is home to 60 per cent of the world’s leprosy patients, also because as per the National Leprosy Elimination Programme (NLEP), 127,326 leprosy cases recorded in 2015-16, an increase of 1.22 per cent from 2014-15, when 125,785 cases were detected. 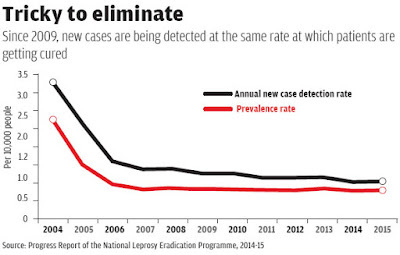 Worse, the report reveals, quoting government data, leprosy cases of grade II disability (damage to limbs and nerves) increased to 5,794 in 2014-15 from 3,019 in 2005. “Even the percentage of grade II disability among new cases detected has increased from 3.10 per cent (2010-2011) to 4.61 per cent (2014-15). It indicates that the cases were being detected late”, it points out. The rise in cases of disability is considered bad sign. This occurs when an active case of leprosy infection goes unreported for a long time and is untreated for over two years of active infection, says experts. In all, around 32 crore people are claimed to have been screened in various states. In March-April, a similar detection programme was conducted in 50 districts across seven states. Out of 65,427 suspected cases, 4,120 were later confirmed. The mass screening programmes, says the report, are aimed at covering all districts in high-burden states that have a prevalence rate of more than one leprosy case in a population of 10,000 in the past three years. According to NLEP, Chhattisgarh has a prevalence rate of between two and five in every 10,000 persons. In Odisha, two in every 10,000 persons are infected with leprosy. Delhi and Chandigarh have more than one case in a population of 10,000. A case of leprosy starts showing signs of disability like loss of fingers and toes two years after the setting in of the infection. Disability can be avoided by starting timely treatment when symptoms like discolouration, oily patches or nodules on the skin are reported early. 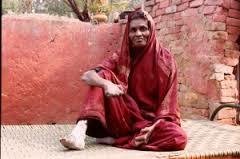 In December 2005, the Government of India declared it had fewer than one case of leprosy per 10,000 people. This announcement of elimination, as defined by the World Health Organization (WHO), brought relief to a country known to have the highest burden of the disease.